Sunday was the last day of my first stay in Canberra, so I put all of my leftover fresh food into a box and placed it under the the sign near the unit. By the end of the day it was all gone. 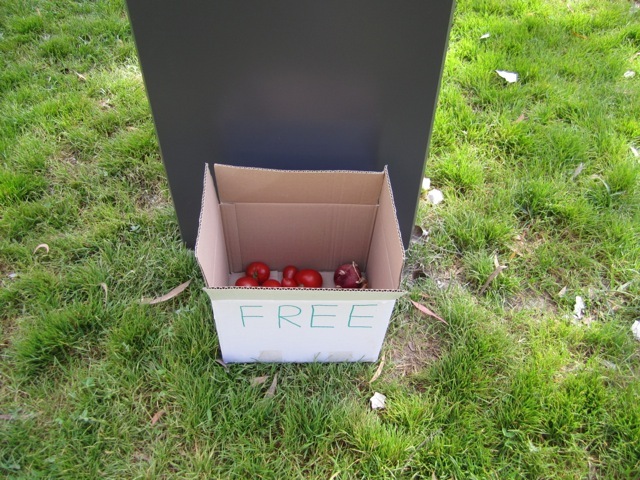 I've always liked seeing 'free' boxes out the front of suburban houses. 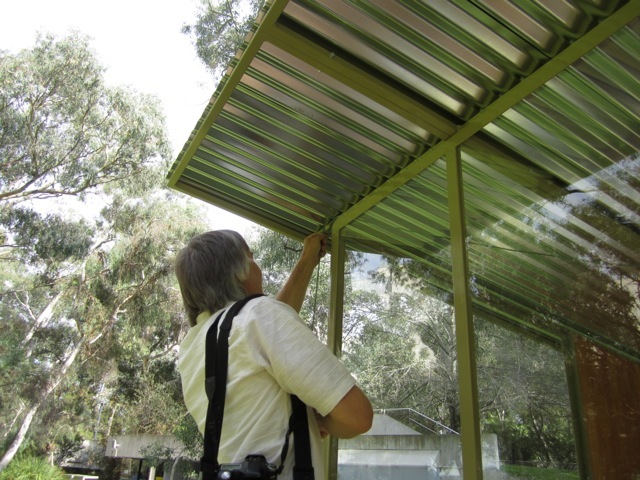 In general the issue of waste has been an ongoing problem. There are beer bottles stacking up next to the bed. I had a small bucket of compost which I buried in the sculpture garden. I'm still trying to think through ways to make use of waste. 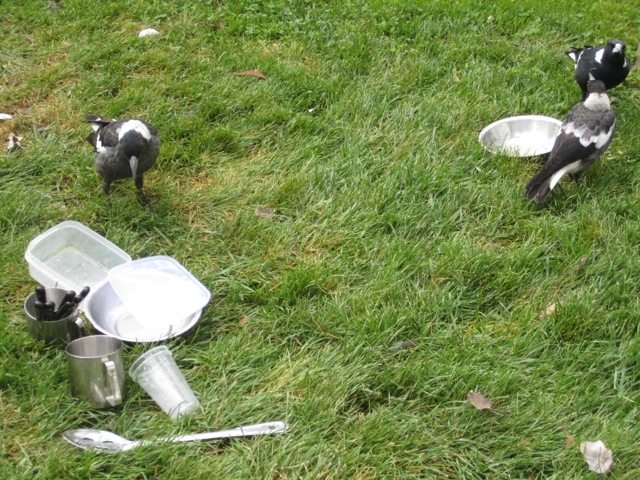 Here Magpies are making use of the left overs after washing the dishes. 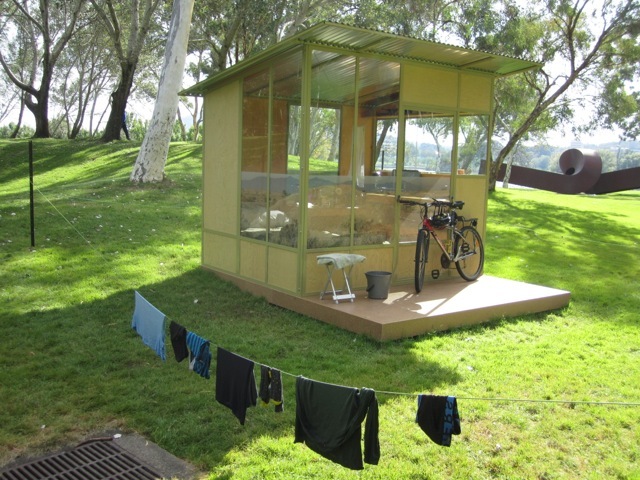 And here, a willing stranger offered his height to help tie an internal clothesline for my wet clothes.